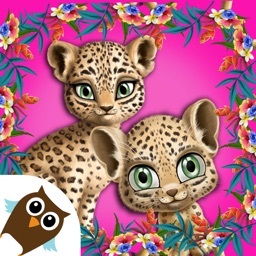 Four furry jungle friends - leopard Amy, panda Pandora, Pomeranian puppy Pepper and giraffe Rachel - are waiting for you in the backstage. Style and dress up rock star animals in their dressing rooms and get ready to rock on stage like a real star. 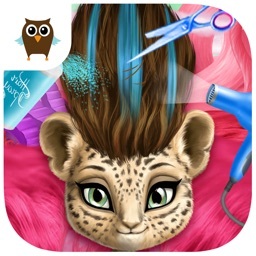 Crazy color hair, wild hairstyles, cool tattoo designs, shimmery makeup, hundreds of stage outfits and more rock star fun inside! 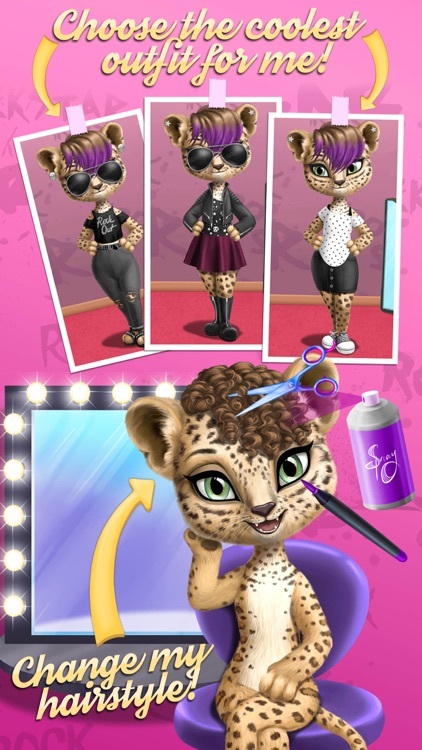 Meet the band, your new furry Animal Hair Salon clients! 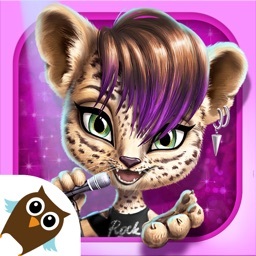 Leopard Amy, the teen lead singer, always looks classy and loves rainbow color hair. 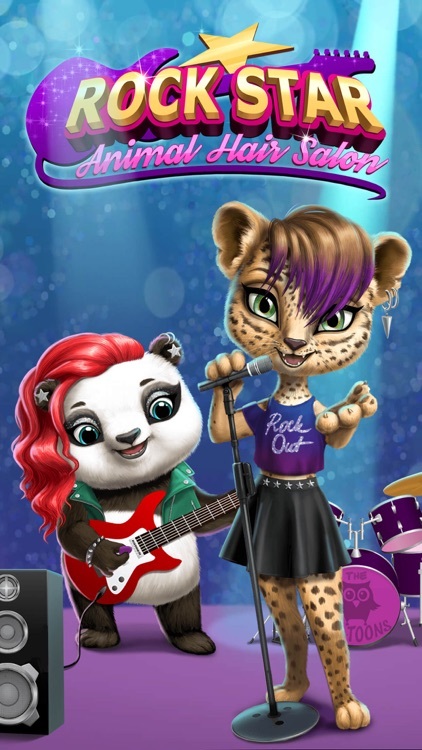 Panda Pandora is a crazy cute and talented guitar girl. 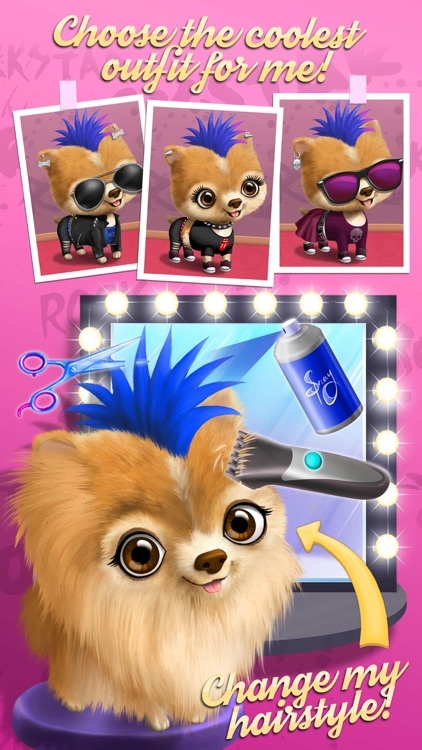 Tiny and precious Pomeranian puppy Pepper plays drums and loves tattoos. 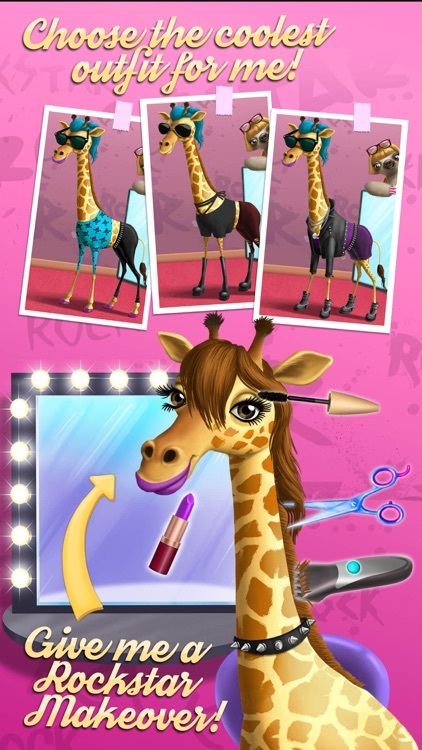 Piano player giraffe Rachel wants her day spa treatments and a new punk outfit. 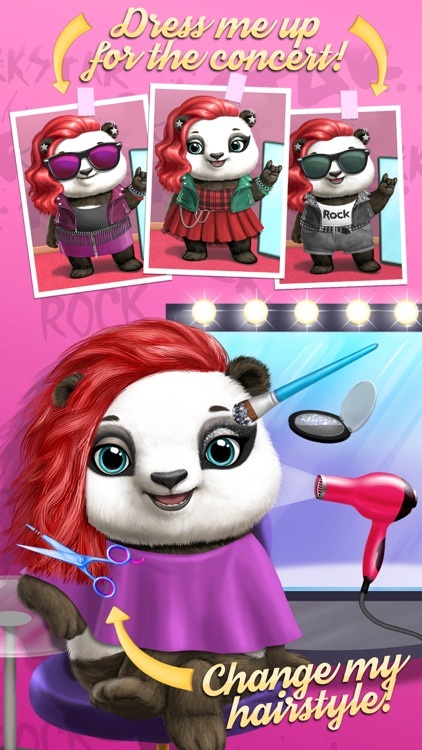 Don't keep them waiting and let the rock star beauty salon fun begin! 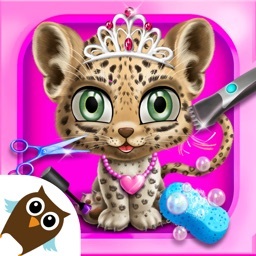 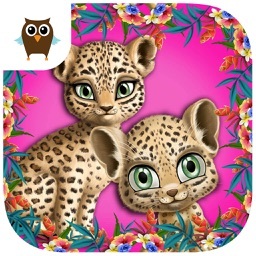 · Choose a rock star animal you want to play with - leopard Amy, panda Pandora, giraffe Rachel or Pomeranian puppy Pepper! 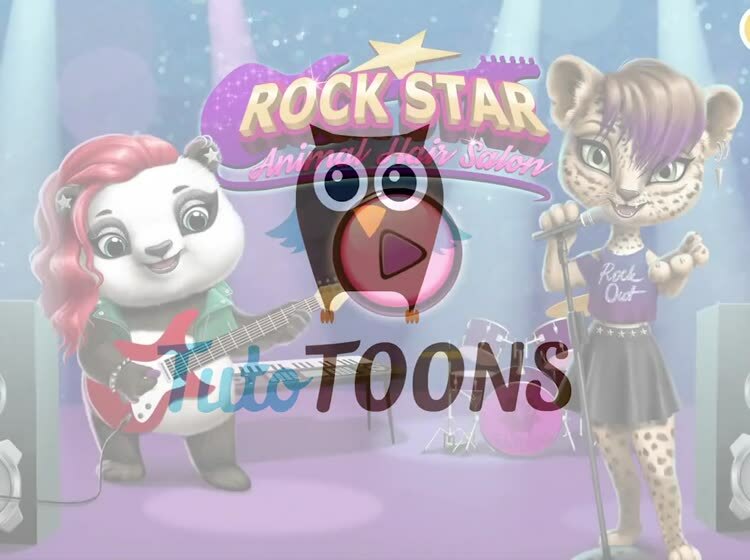 Crafted and play-tested with kids and toddlers, TutoTOONS games cherish the childhood and help children learn the basic life skills through games they really love!